Because of his expertise and accomplishments, Joe was invited to be a contributor to Advertising and Marketing to the New Majority, a marketing textbook currently used by many colleges across the country. In his shadow many others have followed and an industry has been built. 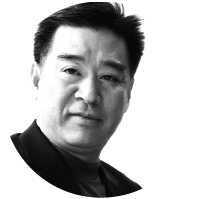 In 1999, Joe was one of the founders and initial board members of the AAAF (Asian American Advertising Federation) that helped to organize and create a sense of recognition for this rapidly growing market. Many multicultural marketers talk about the importance of staying connected to their community. Joe’s connections to the Asian American social, cultural, political and business community are so broad and so deep that it would be practically impossible to disconnect Joe from his many engagements, ties and commitments. Joe has been honored by The New York City Chamber of Commerce for his excellence and community commitment. Recently Joe has also received the ADCOLOR “Advertising Industry Legend” Award. 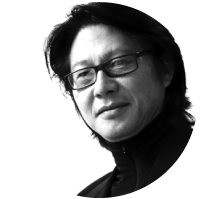 Lawrence Lee brings over 30 years experience in art direction and creative development. He graduated from New York City’s School of Art & Design and then studied fashion illustration at the Fashion Institute of Technology (FIT). Lawrence has led the L3 creative team to develop breakthrough campaigns for MetLife, Remy Martin, Baccarat Crystal, Colgate Palmolive and many, many more. L3’s creative work has garnered numerous industry awards, including the Summit Awards, the Telly Awards, the Davey Awards, the Creativity Awards, and the Service Industry Advertising Awards (SIAA). 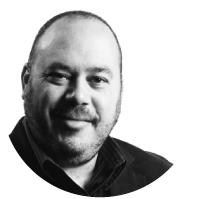 Over the course of his 30+ year career in advertising, Mark has built a phenomenal record of marketing experience at some of the industry’s leading advertising agencies. In addition to his work for clients such as Bristol Myers, HBO, Diageo, AOL, Kraft Foods, Johnson & Johnson, and others, Mark is especially proud of his new product development work, including 7 successful national new product introductions. In 1996, Mark was hired by filmmaker Spike Lee to launch and manage his new advertising agency, Spike/DDB. In 2001, Mark Robinson was recognized by NV (New Ventures) magazine as the Entrepreneur of the Year for the successful launch of the S/R Communications Alliance, the first 100% minority-owned network of 12 multicultural marketing companies, with combined billings of $225 million. Mark is a member of the American Advertising Federation’s Multicultural Marketing Leadership Council and a member of the AAF national speaker’s bureau. Mark received the 2009 Martin Luther King Leadership Award from the State of Connecticut. He has been featured in Fortune magazine, The New York Times, The Wall Street Journal and Advertising Age. Ellen Lee joined L3 Advertising Inc. in 1992 following 18 years of client marketing and agency management experiences. 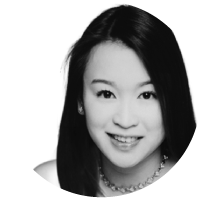 As the General Manager, she oversees all aspects of client’s marketing programs. Over the past 20+ years Ellen has been a significant contributor to the agency’s growth, new business development, and has earned her reputation for integrity and excellence among the marketer and agency communities. She has substantial experience in conducting successful marketing programs for a broad spectrum of companies such as Bank of America, Rémy Martin, Harrah’s Entertainment, Caesars Palace Las Vegas, Rio Suite Hotel & Casino, Harrah’s Rincon Casino & Resort, Nestlé USA, Campbell Soups, MetLife, Verizon, Colgate-Palmolive, Brown & Williamson, MCI and Phoenix Satellite TV (Hong Kong). Ellen holds a B.A. in Marketing Communications from California State University of Los Angeles. She speaks fluent Cantonese and Mandarin.